I want all of you to know I'm not trying to stop the game nor am I trying to get any money from the game. I want nothing from the game at all. Let me be clear. I don't want *ANY* money from the game. Zero. Zip. Nothing. Not a penny. I’m only trying to protect my ability to keep selling my books and feed my family. This is simply a dispute over a trademark name. Nothing more. It’s not a cash grab – I want nothing from the game and it should in no way hold up any game. This is about a brand name I developed in 2016 known as Redfall and my desire to work out a deal. A no-cost deal. One in which everyone wins. I have been trying to resolve this. I'm sure they are super busy and hopefully we can resolve this soon. They may have simply filed for an "intent to use" trademark, not knowing that I had already developed a brand by the same name that has existed since early 2016. This is probably just a misunderstanding or unfortunate timing, needing a simple resolution to resolve. Either way, I have worked hard to develop this brand and I can't afford to stop earning a living for my family. I am a hard-working author and they are a billion-dollar, mega-successful company who produces fabulous products that everyone loves. They have done nothing wrong and neither have I. We just need to resolve the matter. I know I'm just the little guy, but I created the Redfall brand in early 2016 and believe I have prior claim to it. Therefore, as is my right, I've contested their trademark request to protect what I feel is my brand, and to protect my right to keep selling books (print, ebook, and audiobook) and the movie/film rights under that brand. It's how I pay the bills. This has nothing to do with their products and I’m not trying to stop any game or make any money off of it. This is only about a brand name on a trademark application and my ability to keep selling Redfall books and movies. If anyone other than me was to receive a Redfall trademark, I would not be able to use that name and thus, would have to stop selling my books and audiobooks under the Redfall brand that I developed. I have more books, audiobooks, and a screenplay coming, so I'd like to work out a deal where everyone wins. I've tried since December to avoid this, but simply ran out of time due to the rules of the US Patent and Trademark Office (USPTO). I had no choice but to take the next procedural step and file the trademark opposition with the USPTO right before the deadline. The USPTO will now rule on who owns the Redfall name in their version of court, which is their role and purpose. Win or lose, I wish nobody ill will. Some of the articles on the Internet make this sound like I'm suing for money or to stop the game, both of which are not true. I don’t want any money from the game nor do I want to stop a game. I simply filed an opposition with the USPTO office to stop the issuance of the Redfall trademark. There's no traditional court involved. This is simply a procedural step in the trademark process, giving those who oppose a trademark's issuance a chance to be heard. Some of the articles also incorrectly mention this is about copyrights or a patent, neither of which is true either. This is only about a trademark name. 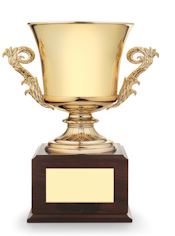 Trademarks are not the same as copyrights or patents. They are three different things -- again, the reporters are misrepresenting the situation here. With that said, we can avoid the USPTO all together and find a no-cost resolution. We just need to find a resolution. I’m ready and willing and open to whatever resolution makes sense. Once again, I don't want *ANY* money from the game. Zero. Zip. Nothing. Not a penny. Nor do I want to stop the game. In fact, I would love it if they would create a game called Redfall. I would be honored and happily promote it to my readers. We can make that happen and I don’t want a single penny from the game. I just can’t let anyone else own the trademark on the name Redfall, otherwise I can’t keep selling my books. That’s all this is. In the end, they may decide to use another name for the game, which is their choice and has nothing to do with me. If they want to release the game and call it Redfall, I’m all for it -- we just need to work out a simple no-cost license that protects me and them. Everybody wins. This is all I’ve wanted since the start. Either way, this trademark issue won't stop the development of the game or its release. This is only about a brand name on a trademark application. I need to make sure my Redfall brand remains my property so I can continue to sell my work under that brand and someday develop a major motion picture. I would happily give them the gaming rights they need, at no cost, for a game with the Redfall name in a simple licensing deal. This is simple to solve. There's no reason for this to hold up the game. We are only talking about a brand name and a simple license. The plot of their games and the plot of my series are not the same, so it won't hold up their game. This is simply about a brand name. That's it. They can have all the gaming rights and go make oodles of profit. I hope they do. I don’t want any money from the game. 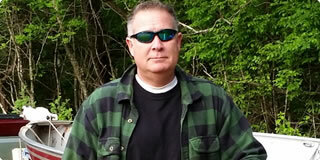 I only want to retain the Redfall brand and keep selling my books and maintain the movie rights. That's it. Simple and fair. They do their thing and I do mine. Just need a license in place to protect both sides. Put yourself in my shoes and I think you'll see I'm being more than reasonable and willing to solve this branding situation. I only want to protect the retail space I'm already in and have been for years. Everyone has to eat, right? Like I said, I don't want any money from the game, nor should this ever hold up a game. I'm just protecting the ownership of a brand I developed, so I may continue to earn a living selling my books and movies that are part of the Redfall brand I developed. I never wanted any of this to happen, only wishing for a simple resolution. 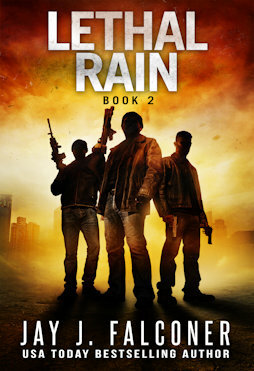 When a coordinated, high-tech attack brings chaos to the country, the mountain community of Clearwater, Colorado finds itself at ground zero as trouble quickly escalates. 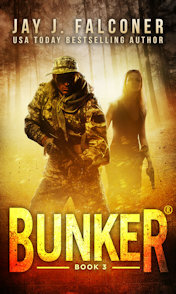 Without power, technology, and the ability to survive, the desperate townspeople turn to a mysterious drifter, Jack Bunker, for help when a group of innocents go missing. Even though the former military man has the skills to keep the women and children alive, it won’t be easy to overcome his own personal demons, putting everyone’s life at risk. The Mayor of Clearwater soon learns that not everything is what it seems. Dark forces are amassing in the shadows, preparing to unleash an evil far worse than anyone could have imagined. 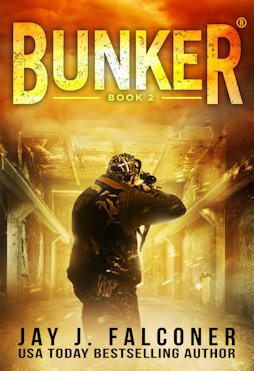 An evil even Jack Bunker might not be able to stop. When a covert communication is intercepted, Jack Bunker and the town leaders of Clearwater swing into action to uncover the secret behind its deadly intent. However, before their defenses can be fortified and the threat neutralized, a ruthless faction gains a foothold, turning to kidnapping and torture for control. As the body count rises, Bunker is forced to summon a part of himself he loathes in order to save everyone he cares about. But rescuing his friends won’t be easy, not when the insurgents focus their attention on him and his mysterious past. When the perpetrators finally reveal themselves, Jack Bunker finds himself the target of a deadly manhunt. They need him eliminated at all costs and are willing to unleash hell across the countryside to achieve their sinister plan. But the trouble doesn’t end there. 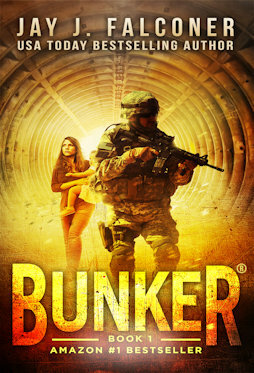 News of a lethal, airborne threat spreads panic across the town of Clearwater, leaving everyone to fend for themselves when Bunker goes missing. After the insurgents take control, Jack Bunker must rally all his skills and training in an explosive battle for survival. Despite being outnumbered and outgunned, he vows to never stop fighting to protect those he cares about. At least he won’t be facing death alone. Newfound friends join his quest, using their combined ingenuity to help repel the threat. Victory will come at a steep price; however, when dark secrets are revealed, exposing some while protecting others. Treachery abounds as tempers boil, romance blossoms, and codes are deciphered, leading some to make deals with the enemy to settle old scores. Trust soon becomes a luxury. So does time, when the grand conspiracy finally reveals itself. One Battle. One Man. One Mission. 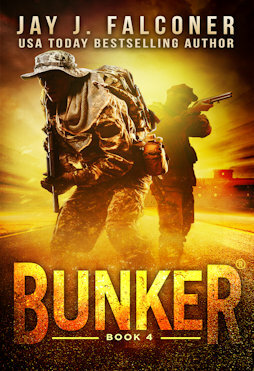 Jack Bunker is back in the next explosive chapter of the Amazon Best-Selling Series. The insurgents are dug in and ready for war. To them, it’s about guns, guts, and glory. For Bunker, the flag and freedom are paramount. He’s prepared to fight, despite their overwhelming firepower. As the final confrontation nears, Bunker knows death comes with it. Some will perish so others can live. But in the end, who will stand atop the rubble to claim victory and will there be anything left worth protecting? Prepare yourself for an ending so shocking it will leave you breathless. Society will collapse in days... And that's the good news. 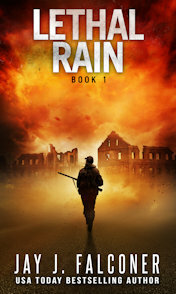 When red storm clouds appear and begin to spread their potentially toxic rain across the planet, the mysterious weather phenomenon grounds all travelers and threatens to take down the grid, sending civilization back to the Stone Age. For humanity, time is running out . . . When the red rain stops falling, it will be too late to stop what’s coming next. When the red rain stops, will civilization survive? 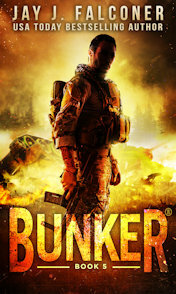 As militant groups arm themselves and take to the streets, survivalist Simon Redfall and his band of freedom fighters scramble to uncover more facts about the swarm of red storms suffocating the planet. The more they dig, the deeper the conspiracy grows. Yet, it all seems to point back to one man and his weather control technology, Jeffrey Hansen. A former military intelligence officer who will stop at nothing to achieve his goals. 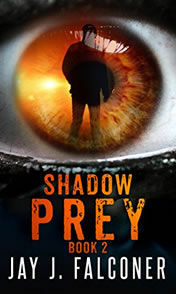 When more of the puzzle comes together, Simon realizes the threat to humanity is even greater than anyone could have ever imagined. Something sinister is about to crawl out of the shadows and reveal itself. Humanity Will Change Forever, Because of One Girl . . .
Emily Heart is a genetic freak. But she wasn't born that way. Someone made her. Someone stole her life and erased everything she knew to be true. They gave her powers she's just beginning to understand, just beginning to harness. 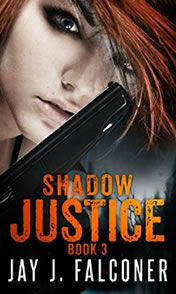 Now a social outcast and on the run from deadly gangs, relentless cops, and a determined reporter, fifteen-year-old Emily wants her life back. 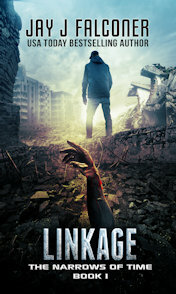 Without power, technology, and the ability to survive, the desperate people of Clearwater, Colorado turn to a mysterious drifter for help—Jack Bunker, a troubled man with the skills and training to keep everyone alive. 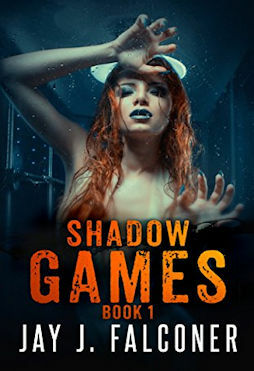 When a covert communication is intercepted, Jack Bunker and the leaders of Clearwater, Colorado swing into action to stop a ruthless faction before it gains a foothold, turning to kidnapping and torture for control. As the final confrontation nears, Bunker knows death comes with it. Some will perish so others can live. But in the end, who will stand atop the rubble to claim victory? When red storm clouds appear and begin to spread their potentially toxic rain across the planet, the weather phenomenon grounds all travelers and threatens to take down the grid, sending civilization back to the Stone Age. Emily Heart is a genetic freak. But she wasn't born that way. Someone made her. Someone stole her life and erased everything she knew to be true. After a narrow escape, Emily Heart finds herself floating in a cold, damp place filled with a sea of colors and certain death. Drawing another breath won't be easy, not after her time jumps have become erratic and unpredictable. Emily Heart finds the stakes even higher after another random time jump into the future. Only this time she didn't arrive alone. Someone else came with her, lurking just beyond the shadows. When Lucas Ramsay's antigravity experiment succeeds in a way he never imagined, the planet is brought to its knees by an unstoppable force that crosses time and space to systematically exterminate all life on Earth. Lucas Ramsay thought he was ready. He thought his plan was foolproof. But he was wrong. When the Baaku come for him on a remote Earth outpost, they challenge everything he knows to be true. 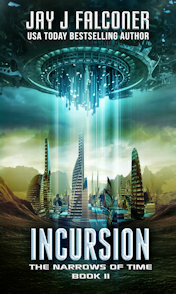 Physicist Lucas Ramsay travels back in time to correct mistakes that have cost billions of lives, but runs into a new problem when his incursion pulls in hundreds of copies of himself from parallel universes. 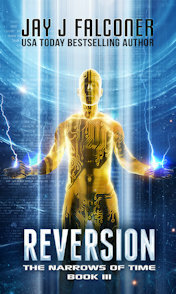 Reversion, the third book in my Narrows of Time Series, was seected as a 2015 Kindle Scout Winner. If you love time travel books, then check it out!